Growing small business is indeed big business in South Africa today, but this is however not without its challenges, says UDDI CEO, Patricia Dlamini. The important role that SMMEs play in South Africa’s economy makes it a valuable asset worth developing. Currently, a number of regional and provincial incubation centres are focussing on doing exactly that and bringing their skills and expertise to under-resourced areas and communities. One such example is the Uitenhage Despatch Development Initiative (UDDI). With its sights set on being a leader in socio-economic development in the Nelson Mandela Bay Municipality, the UDDI’s mission is to provide leadership and development services to improve the socio-economic conditions of the community. Today the initiative is steadily working towards its strategic goals of stimulating economic growth, investment and supporting entrepreneurs; contributing to social upliftment of the community through education and training; effectively managing strategic resources; building innovating teams; and establishing efficient business processes. Opportunity caught up the UDDI CEO, Patricia Dollane Chambers Dlamini at the recent SMME Opportunity Roadshow in Port Elizabeth to find out more about importance of growing SMMEs in South Africa, some of the challenges we face, and what the UDDI has achieved in this regard. Dlamini’s journey growing small businesses started shortly after finishing her BComm accounting degree. Her initial experience in accounting with a “mean boss”, prompted her to broaden her horizons and soon found herself working for a private company that finances small enterprises where they would package business plans and feasibility studies. “That was where I started interacting with SMME’s. Very micro, your co-operatives and unorganised businesses at that time, but eventually I started businesses myself and I became an entrepreneur. I made all the mistakes that entrepreneurs make, so I learnt and got burnt,” she says. The UDDI was established in 2003, the partners at the time being the VW Private Sector and Municipality. As Dlamini explains, at that time the idea was to assist retrenched VW employees and have them re-skilled. Flowing from its initial mandate, the UDDI eventually started working with the Metro and implemented some of its deliverables in a socio-economic space. More recently the core focus has been on township regeneration, enterprise development, and education and skills. 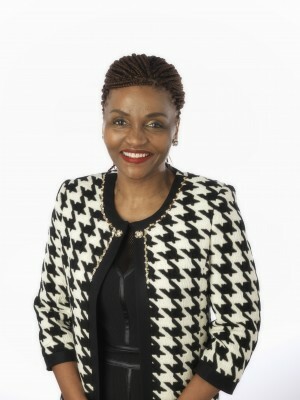 Dlamini believes she joined the UDDI at just the right time, on the ten-year mark which presented the organisation with an opportunity to reflect. “I came in and put together a strategic review session on how far we have come and what we have achieved. But it was also to redirect the organization because throughout the country the economy was now focusing on SMME development. We started looking at the plight of township unemployment and when I got there I worked with the board to develop a new strategy. It was a five to ten year strategy, but we reviewed it every year purely because our environment is so volatile. We are in a political space where we work with the wards and the municipalities. Annually we need to reflect on whether we are doing the right thing. Is it acceptable? Are these projects really what the people on the ground want? “That is what has been happening and when I’m done at the UDDI: schools that I work with are producing the best students, go on to tertiary education, they come back and do not want to run away from the Province. If they do go to Universities outside the province they still want to come back because there are employment opportunities, or there are opportunities to start an enterprise and grow and thrive. The plight of the market of small enterprise in the Eastern Cape is shocking. SMME’s are struggling a lot in this region,” she says. Dlamini however highlights that the UDDI has found its niche in the Nelson Mandela Bay region and the Metro has acknowledged this. She points out that the initiative also focusses on the “softer side” and social aspects such as education and skills shortages. Partnerships however remain crucial and Dlamini says one of the main functions of her job includes stakeholder relationships and engagements. The region has however not been without its challenges. 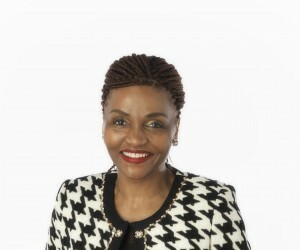 Financial issues aside, Dlamini points out that due to the diversity and numbers they deal with in the Eastern Cape, one often finds that many are driven to entrepreneurship out of desperation and that quite often, only a handful are passionate about or believe in starting their own business. “The unemployment rate is creating a lot of opportunistic entrepreneurs. There is no creativity and innovation happening there, just a hand to mouth type of arrangement which we also support, because it is better than begging on the streets,” she says. At this point in the discussion Dlamini asserts her opinions on what needs to be done to remedy the situation. To her, the next step involves less talking, and moving over to action. “Let us stop talking. Let us, if we say policies are a blockade, unravel the policies. They are made by us, by whoever the leadership is. That is real change. Border trade difficulties, legislation, policies, relationships, trade relationships, etc. Prevent the conflict between foreign businesses and local SMME’s. We are talking about opening up to Africa, but if Africa is now encroaching on our space we have a problem. So those conversations, but they need to be honest and they need to be obvious,” she says. Dlamini also points out that “access to infrastructure helps”. She says when one puts a business hub in a township, it gives people access to a proper business set-up. Your local government can further help with the provincial procurement policies, some legislation, and by-laws that will enable informal businesses to trade. Under her leadership, the UDDI has achieved good success in terms of growing the local community. One of the biggest highlights for her was the launch of their Science and Technology centre which supports schools in the area. “We have 67 schools in the Uitenhage/Despatch region. We are working with 64 of these schools through daily engagement and interaction, supporting them with sciences, maths and technology subjects. We support the students and we support the teachers. We also got involved with incubation in townships where we work with the existing enterprises in the townships and help them form clusters and support each other so that when there is a project, they can then come together and collaborate to deliver. Sometimes you find somebody wants food for a conference of 300 people. So one person can cater for 50, another can cater for 50 more, so all these companies can come together for that project, work together and deliver. We are trying to push the conversation of joint procurement to access markets,” she says. Women are becoming more representative in the SMME sector today than ever before. Dlamini and the UDDI have invested in this trend have to date launched a number of enterprise development programmes aimed at women. She says when it comes to entrepreneurship and growing an enterprise, women are naturals that can “look after things” and nurture a business. This she says is however sometimes to the detriment of other aspects such as passion and that often women can become so embroiled in the process that they struggle to separate themselves from the new endeavour they have “brought up”. For this reason, they make use of other women entrepreneurs to guide and coach them to separate business from private life. “Some of the reasons they do that is because it is a hand to mouth type arrangement and because of the pressures back home, with the kids they raise, etc. Not to say that men do not have the pressure, but I find that the male gender can separate things most of the time and says that when I’m at work, I’m at work and when I’m home, I’m home. But having said that the women are also most likely to have ideas that are sustainable. The women entrepreneurs that I have worked with have depth, they just need the guidance and someone to say ‘now let’s think of it as a business, and let’s take it to the next level’,” she says. Dlamini however points out that women often face additional social challenges. If a woman was to come to a conference and needed to travel away from home for a night or two it can become a problem that ties in with multiple factors including social and cultural issues. “I have worked a lot with the ILO that had specific interventions for gender, what we called intervening with specific gender needs. When you do your value chains and you bring women into the program you must make sure that you don’t have midnight meetings or early morning meetings. “She’s staying at the Boardwalk and left two children with the husband for instance. We are the first ones to judge in communities and say ‘where is this woman’. Think about the many women entrepreneurs that we grew up around, it is either the husband has passed on, or they are divorced. Even in leadership I always question what is wrong with the situation women find themselves in. There is this socio-cultural thing that needs to be dealt with - you have to make choices. Is it fair for us as women to say I choose not to succeed so that I can keep a home, is it fair?” she concludes.